Classic meets modern and rugged masculinity in our men’s designer 6mm engraved and satin finish 14k yellow gold wedding band. This is truly a ring that has a little bit of everything, ensuring that it is unique and eye-catching. Perfect for the groom who wants his commitment to his spouse to be known to everyone near him. 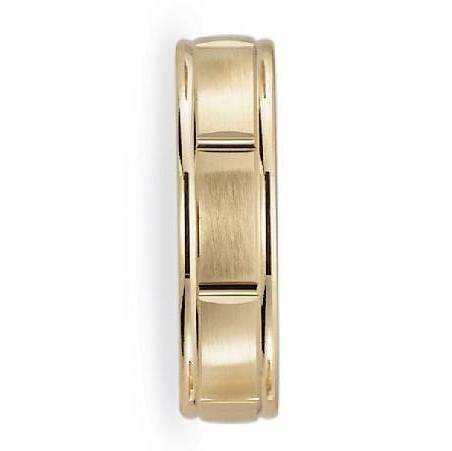 A raised satin finish center band is accented with polished grooves and gleaming edges, all in rich 14k yellow gold. Yellow gold used to be available only for royalty, but it has since become a luxury that most can afford. We make it easy to find something that you’ll love, and be proud to wear with our designer 6mm engraved and satin finish 14k yellow gold wedding band. Looking to add even more customization to your ring? 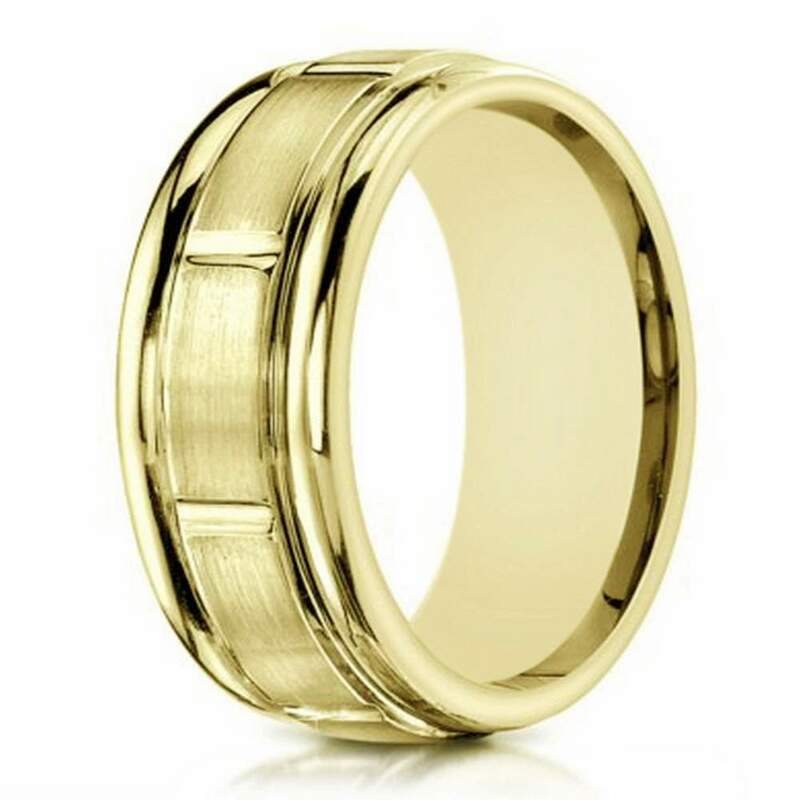 Our men’s designer 6mm engraved and satin finish 14k yellow gold wedding band has the option to add engraving of up to 30 characters. You can denote the day you met or the day you formed your union. We also are pleased to share that our wedding ring offers a comfort fit band. This means that your groom will have comfort all day when he is wearing this piece. Comfort fit bands usually measure a half size smaller due to the additional metal inside the ring. We recommend having his finger measured at your local jewelry store. If you have any questions, please contact a customer service representative who will be happy to help.